The nephrologist is committed to transforming renal care that is working with the patient and family members to achieve positive outcomes. There are many different types of systems, dialyzers, fluids, and products for dialysis needs. The hemodialysis systems and products are used for patients that suffer from chronic kidney disease. Patients can either be treated at a facility or in the comfort of their home. There are hospital-based models that offer many ranges of hemodialysis treatments. The new dialysis machines are easy to use and can be found in dialysis centers, facilities, and in patient homes. 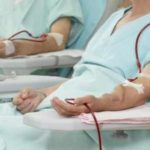 They offer a wide variety of low flux and high flux dialyzers so that patients can have their dialysis prescription altered to their specific needs. The Baxter Dialysis Machine requires concentrates and solutions as do other brand machines these are designed to the exact prescription of the patient’s treatment. Peritoneal dialysis is a form of treatment used in the treatment of chronic kidney disease that is home-based. In this form of dialysis, patients perform their own dialysis treatment without the support from nursing staff. Peritoneal dialysis has two different methods of treatment. One is continuous ambulatory peritoneal dialysis that is normally administered about four times per day. The second is automated peritoneal dialysis, this type of treatment is carried out overnight while the patient is sleeping. The patient also self administers this treatment without the support of the nursing staff. These two types of treatment allow the patient to have more freedom and opens up the possibilities for them to live a semblance of a normal life. Peritoneal dialysis also decreases the number of visits that are required in the clinic and hospital. Automated peritoneal dialysis carries out the treatment overnight while the patient sleeps. Some machines store all the treatment information on a data card that can be taken to physician and clinic appointments to be easily downloaded. There are other cyclers that are also automated and perform treatment overnight while the patient is sleeping. One difference in a few machines is that some can automatically upload information by the way of a secure cloud-based platform called Sharesource so that medical staff can have the data immediately. All of these machines also require fluids to perform the treatments and dialysis on the patient. Dianeal PD4 Glucose is a solution for peritoneal dialysis that uses glucose for the osmotic agent. Physioneal Glucose is a solution that also uses glucose as the osmotic agent. Extraneal or Icodextrin 7.5% is a solution used in peritoneal dialysis that uses icodextrin as the osmotic agent. Nutrineal PD4 has 1.1% amino acids is a solution and is used in peritoneal dialysis that uses amino acids as the osmotic agent. These are a few of the solutions that are required for the dialysis process. Patients that suffer from end-stage chronic renal disease have more options than they did five years ago. Research and technology are advancing every day to gain patients a better quality of life. Dialysis machines have improved greatly and are able to deliver patients a more precise dialysis treatment.